Sister Sunshine has been elusive this month. Last Sunday on May 17th, here in Steamboat Springs, Colorado the only thing that was generously showing a face was her counterpart, Little Miss Snowstorm. Over the past few days her hissy fits, in the form of squalls, have continued to randomly come and go! Some days we have to create our own sunshine. 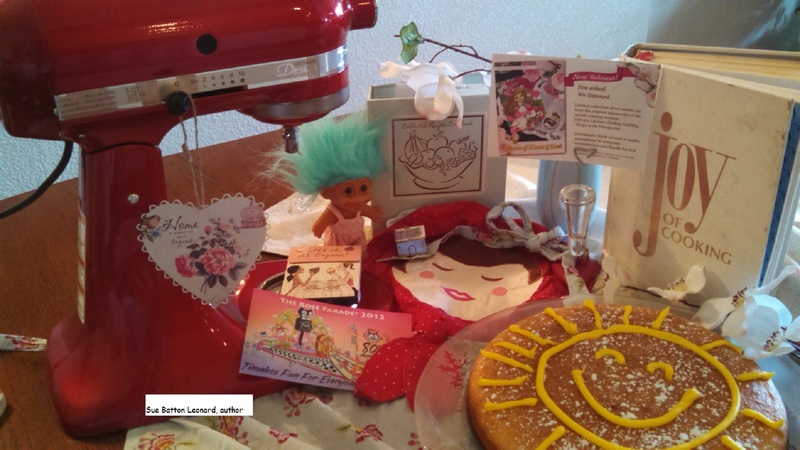 So after church on Sunday I baked a luscious lemon cake filled with all things citrusy and nutritious. Lemon has healing properties. Did you know that? Today, I’ve posted this blog especially for my twin sister. There are a few nostalgic things in this picture that will bring a smile to her face. I just know it! If you are a baby boomer this image may bring back some fulfilling memories. Sending sunshine and thoughts of good health and cheer to you this day and every day from AllThingsFulfilling.com and from award-winning author Sue Batton Leonard. 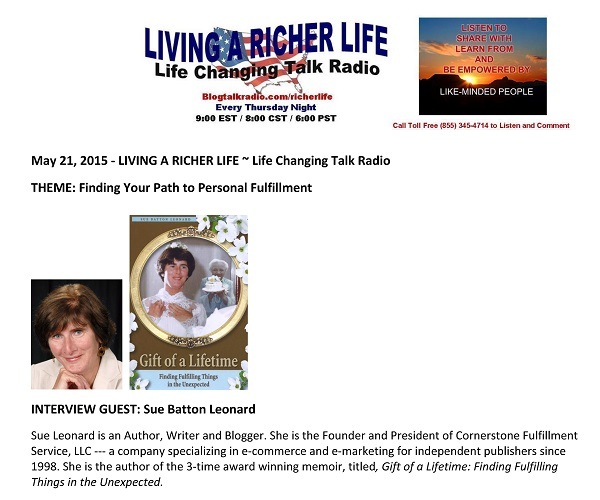 Don’t forget to listen in tonight to Living a Richer Life on blog talk radio. I’ll be a guest and we will be talking about finding personal fulfillment! For information on Gift of A Lifetime Finding Fulfilling Things in the Unexpected. For information on Lessons of Heart & Soul.